Last week, I spent a glorious day in Reggio Emilia, Italy chatting with one of my sheroes, Carla Rinaldi. For my money, Professor Rinaldi is the world’s most profound living thinker about teaching and learning. 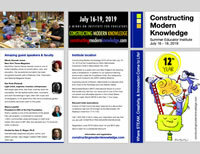 It took some convincing on my part, but Carla rearranged her schedule to be with us at Constructing Modern Knowledge, July 10-13, 2018. 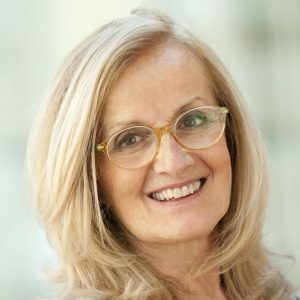 I cannot overstate how rare it is for educators to spend time learning with the likes of Carla Rinaldi, particularly in an intimate setting such as Constructing Modern Knowledge. You do not want to miss this opportunity! There are a lot of clever speakers on the circuit, but few are wise like the speakers at Constructing Modern Knowledge. They are activists, artists, educators, scientists, and doers, not fancy talkers. They inspire us to learn, grow, and take action. CMK is not a conference. It is an institute where the emphasis is on learning-by doing, but we also recognize the critical importance of teachers interacting with expertise. That’s why guest speakers give short talks, on average one-per-day, and spend time with our participating educators. At CMK, no one gives a speech and then runs to the airport. I tear up when I hear CMK participants tell me about how they “took Carla for soup dumplings,” “had lunch with Deborah Meier,” “shared their project with Alfie Kohn,” or “went for a walk with Edith Ackermann.” I know what it meant for me to meet my heroes. It changed my life. Getting to know experts you respect is transformative. Constructing Modern Knowledge is a labor of love and one of the great joys of my life is sharing my friends with the educators who attend. Our faculty is comprised of pioneers responsible for much of the technology we take for granted, like Cynthia Solomon, Brian Silverman, and Artemis Papert. Dan and Molly Watt taught me everything I know about teaching teachers. Jaymes Dec, Josh Burker, Tracy Rudzitis, Brian Smith, Steve Dembo, and Amy Dugré represent the next generation of progressive educators who also just happen to be experts at programming, electronics, fabrication, and engineering. I am so proud of the remarkable guest speakers I have been able to share with CMK attendees in previous years. They represent the best and brightest progressive educators, technology innovators, and experts in fields often devalued by schooling. Check out project videos and reflections from previous years of CMK! Sociologist and best-selling history writer, James Loewen, author of Lies My Teacher Told Me and other fabulous books. Loewen is an expert on teaching children to be historians rather than just be taught history. When he was at CMK eight years ago, Dr. Loewen spoke of the Confederate monuments across the USA, and has recently been cited as an expert on this hot-button topic. Paulie DiMeo is passionate about creating authentic learner-centered educational experiences for kids and he also just happens to have been the lovable carpenter on ABC’s hit show, Extreme Makeover: Home Edition. MIT Media Lab doctoral graduates Eric Rosenbaum and Jie Qi will host our reception at the MIT Media Lab. Eric is the co-inventor of Makey Makey, creator of Beetle Blocks, and a member of the MIT Scratch Team. Jie created Circuit Stickers and the Chibitronics line of digital paper craft products. 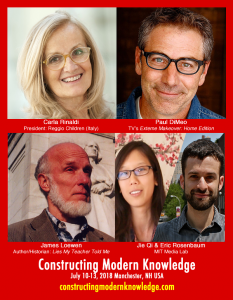 Please join my friends and I at Constructing Modern Knowledge 2018, July 10-13, 2018! Register today!